Through the assistance of Huawei, Smart Communications has achieved an LTE-Advanced test data speed of 1.4 Gigabit per second (Gbps) via Carrier Aggregation of the combining of more than two frequencies to deliver a bigger bandwidth. This development will boost the peak speed in the LTE-A base station at Boracay which is currently at 250 Mbps. Some LTE-A capable handsets are the Huawei P9 Plus, the Samsung Galaxy S7 and the iPhones 6s. Aside from the Boracay base station which combines the 850, 1800, 2100, and 2300 MHz frequencies, Smart will also conduct a three-year LTE coverage expansion plan that includes the activation of other base stations in Metro Cebu, Metro Davao, and Metro Manila. Once this plan has been totally implemented, residents in around 1,551 Philippines cities and municipalities or 95% of the country will experience high speed internet service. The boost in LTE-A speeds will also be complemented by the deployment of high-speed DSL fixed lines by PLDT. 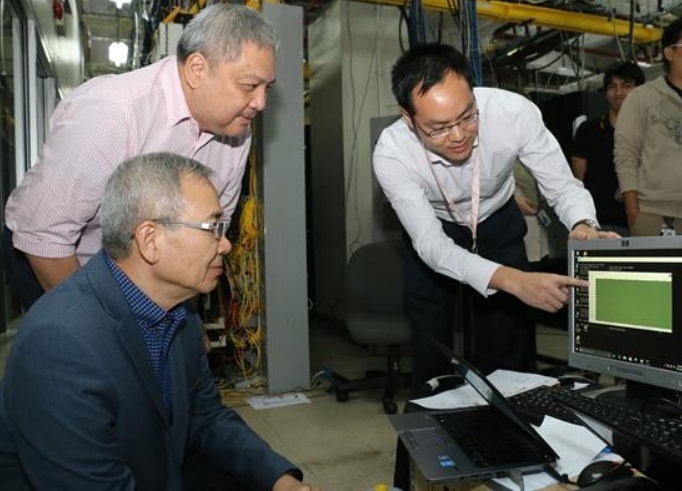 Likewise, Smart will utilize the 700 MHz frequency band that they and Globe Telecom have acquired from the telecommunications business of San Miguel Corporation. Together with the 850 MHz, Smart aims to expand their LTE coverage with these two long range, low-band frequencies that provide a stable connection even when indoors.